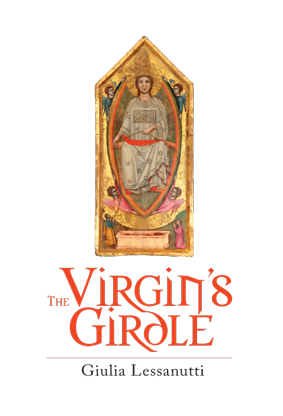 ‘The Virgin Mary, mother of Jesus Christ, is one of the most familiar figures in Italian art. 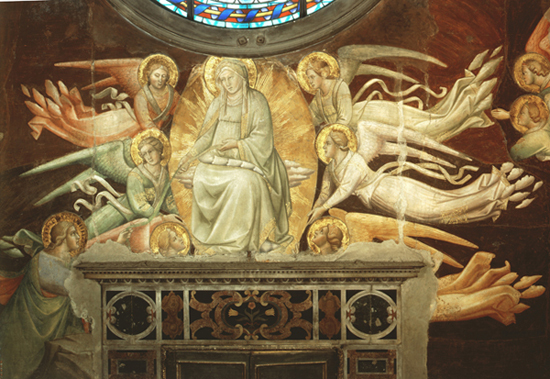 From the thirteenth century she is frequently shown being carried by angels up to Heaven after her death: her Assumption. As she rises she allows her belt-like girdle, the Sacra Cintola, to fall down to be received by St Thomas, miraculously transported from India to her funeral. The Sacra Cintola exists today as a precious relic, an object of devotion connected with a holy person. It has been a proud possession of the people of Prato, a small commune northwest of Florence and epitomises a fascinating history that is believed by many faithful followers of the Roman Catholic Church.